← A Very Long Time Ago …. 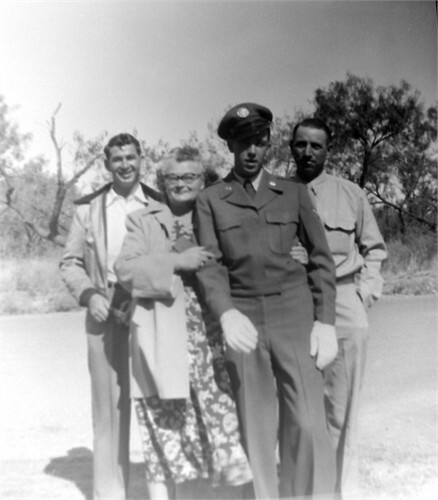 Gene Oliver Curbow was born 5 Nov 1933 in Roswell, Chaves County, New Mexico, the middle son of Roy Oliver Curbow and Allie Ernestine Ham. He married Thelma Bernice Raincrow, a member of the Cherokee Nation, in 1952. This couple had one son and divorced shortly after his birth. A few years later Gene married Cleta Fern Payne in July of 1952. This couple had three daughters. 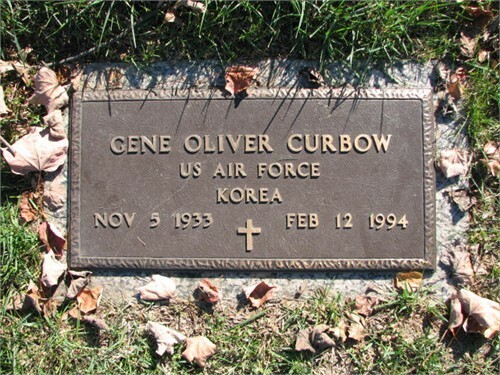 While I never had the opportunity to meet Gene Curbow personally, what interests me about him is his military service to our country and how he played his role in American history. You see, Gene Curbow was the weatherman on Bikini Island on the day of the Bravo Blast. Gene enlisted into the United States Air Force in August of 1951. According to his younger brother, Gene was stationed on an island as a weatherman and was discharged from the Air Force with some type of disability. Many years ago Don saw Gene being interviewed by Linder Ellerbe on television regarding a radioactive contamination incident. After some research it was confirmed that Gene Curbow was one of twenty-eight servicemen present on Bikini Island the morning of March 1, 1954 when the Bravo Blast occurred. Detonated on a reef on Bikini Atoll, the Bravo test was the first United States explosion of a deliverable hydrogen bomb. The scientists (having grossly underestimated the size of the explosion) produced a yield of 15-megatons, making it more than 1,000 times the size of the bomb dropped on Hiroshima. The blast tore a crater more than ½ mile wide and several hundred feet deep and threw millions of tons of radioactive debris into the air. The fireball was almost three miles in diameter. 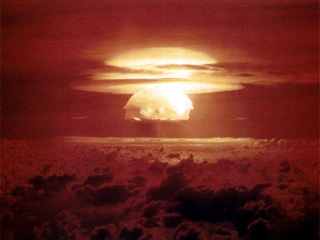 The Bravo Blast resulted in the worst single incident of fallout exposure in all the U.S. atmospheric testing programs. Twenty-three Japanese fishermen, 28 U.S. servicemen (Gene among them) and more than 200 Marshallese were caught in the fallout. Quote from Gene Curbow, HQ Weather Reporting element (U.S. Air Force) on Rongerik Atoll, 1954: Prior to…and for weeks leading up to the blast the prevailing upper level troughs indicated that wind was blowing to the vicinity of our island. In an article entitled, Deadly Snow written by Robert Milliken in 1986 he states that: One of the weathermen, Gene Curbow, is suffering from leukemia and is suing the U.S. government. He attributes his cancer, like that suffered by many Marshallese since Bravo, directly to radiation exposure. The wind had been blowing straight at us for days before the test. It was blowing straight at us during the test and straight at us after it. The wind never shifted. Gene Curbow, senior weather technician on the neighboring atoll of Rongerik, who took radio-sound weather measurements up to an altitude of 30,000 meters before and after Bravo. Curbow and U.S. veterans stationed there have suffered since from a variety of illnesses, including cancer, tumors, heart and thyroid conditions, and urinary and bladder disorders that they say were related to Bravo. Three of them said they had difficulty fathering children or had had sickly offspring. From a newspaper article dated 13 Feb 1983, when asked why the servicemen waited so long to file suit, Gene Curbow, replied: It was a mixture of patriotism and ignorance. The article goes on to state that: The government admits that the men were exposed to large doses of radiation but denies that their injuries are related. They say the U.S. and its contractors knew that east winds would carry the bomb’s fallout to the Marshall Islands but gave the go-ahead for the test and later attempted a coverup. You can read the article in its entirety here. There is a series of videos posted on YouTube entiled “Half Life” which pertain to the Bravo Blast coverup. See the video here – scroll to about minute 4.40 and you will see Gene Curbow giving a statement. After Gene’s retirement from military service, he spent time in Texas and Kentucky and then settled in Roanoke, Virginia with his wife and children. He died there 12 Feb 1994 at the age of 60. He is laid to rest in Evergreen Burial Park. To Gene Curbow – and all others involved in the Bravo Blast – it doesn’t appear as if America treated you honorably in this instance. But we, all these many years later, nonetheless acknowledge your sacrifice and service and thank you for your service to America. Wow. Really an interesting story. Nope, couldn’t be. 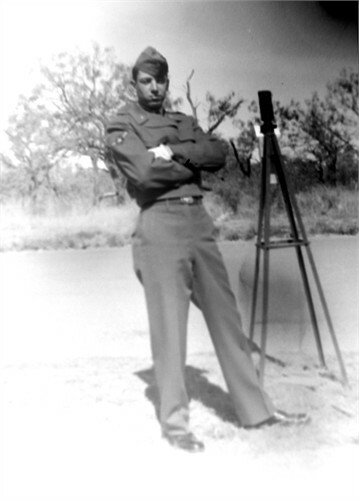 Gene Oliver Curbow (senior) went on to marry a second time and had three daughters. He died 1994 (see tombstone). Also, you can click here: http://www.curbowfamily.com/getperson.php?personID=P63&tree=curbowmontoya01 (or on the link above) and that will take you to the website which has his profile for you to look at also. I know that Roy Oliver Curbow died in 1968 – Gene would have been 18 or so?? Maybe that’s who you are thinking about? Let me know if you have any infor and/or pictures you want to share for the website. All living people are kept private. You can also email me privately (jlcurbow@att.net) if you prefer. Good to hear from you Nicki !